In 2019, we will be celebrating being in theatre and event production for 37 years. Gordon, and his talented team of regular and guest performers, musicians, technicians and publicity practitioners all of whom bring something special to the brand. 11 original full scale Pantomimes, countless editions of their Children’s Shows featuring Gordon’s popular character of Simple Simon, which are still running, and in 2019, marks 25 years of ‘Fun’tastic entertainment for families with small children. They have produced 8 plays, written by Gordon who was also responsible for the book and direction of a new musical ‘Flashing Eyes’ with original music and lyrics by W.Leonard Brooks, set in 1950’s Margate. 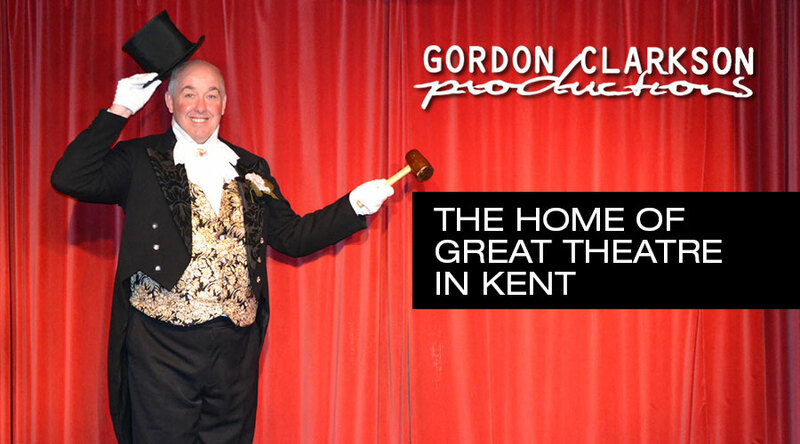 In 2013, Gordon was awarded a Lifetime Achievement Award for his work in showbusiness. Gordon and Joy also undertook production of a Community Musical called ‘The Last All Clear’, for which Gordon wrote the script over the 36 week production period specifically for the performers taking part in order to highlight the strengths of the abilities of the performers regardless of age and disability. ‘Light Entertainment’ productions comprise of many celebrated programmes of Vintage Music Hall, Songbook compilations shows, Summer Season specials, and notably, their hugely popular 1940’s ‘ENSA’ tribute ‘Sing As We Go’, which recreates the atmosphere of a typical show of that bygone era, and therefore is a valuable recollection of a specialized art form. As a small scale independent theatrical production company, their ethos has always been to strive to present good quality, reasonably priced entertainment, therefore making live theatre accessible. It is well known that a childhood visit to the pantomime or similar can start a lifelong appreciation of live theatre for all its many benefits for culture and entertainment. A similar benefit might be argued for offering recognisable entertainment from the past to ‘mature’ audiences, to stimulate and entertain. With our pantomimes and children’s shows for families, and our nostalgia shows for the older generation, and our plays and musicals for all, we believe we are offering something valuable for every demographic! With costs escalating in theatres, and those costs largely being passed on to the producer, staging our productions in theatres is becoming increasingly prohibitive if we wish to keep prices down. So, along with our plans to move forward by offering theme evenings such as Murder Mysteries to hotels and restaurants, we have also started to produce events direct for clubs and organisations on a set fee basis, which has the added incentive of saving costly coach travel to club organisers.